How long do photographers keep your photos? How long do photographers keep your photos? Well, that depends. There is no rule, it’s completely up to the individual photographer and their business model. It could be a few days to thirty years, or more. A photographer with an established studio who has been in business a long time and relies on repeat clients is much more likely to hold onto old digital files and even (going really vintage here) NEGATIVES! A newbie photographer testing the waters to see if they can make a go of the whole photo gig? Maaaaaybe not so long. How long do I hold on to negatives (digital and traditional), you ask? My policy is ten years OR until space becomes an issue. When I do my yearly purge of the storage room it definitely gives me pause to haul out the old boxes of images. I mean, these are peoples wedding pictures and family photos, you guys! I don’t take it lightly but it’s what I’ve determined is reasonable for my business. Digitals/negatives have always been available for purchase at any time at my studio so if owning them is a priority for my clients they know they have the option. And in the end it comes down to space -all of these images take up physical, mental and emotional space. There’s an entire wall of my storage room dedicated to this and after one year the chances of a past client requesting images dwindles considerably. That space is needed for new clients files. I do make an exception when culling a particular year – if I am still in contact with the client (know them, see them in person or on social media, still scheduling regular sessions) then those stay in storage because I consider them a CURRENT client. Bankers boxes come in blue sometimes! All this is on my mind because I got an email this morning from a former client wishing to purchase some images I created in 2011. 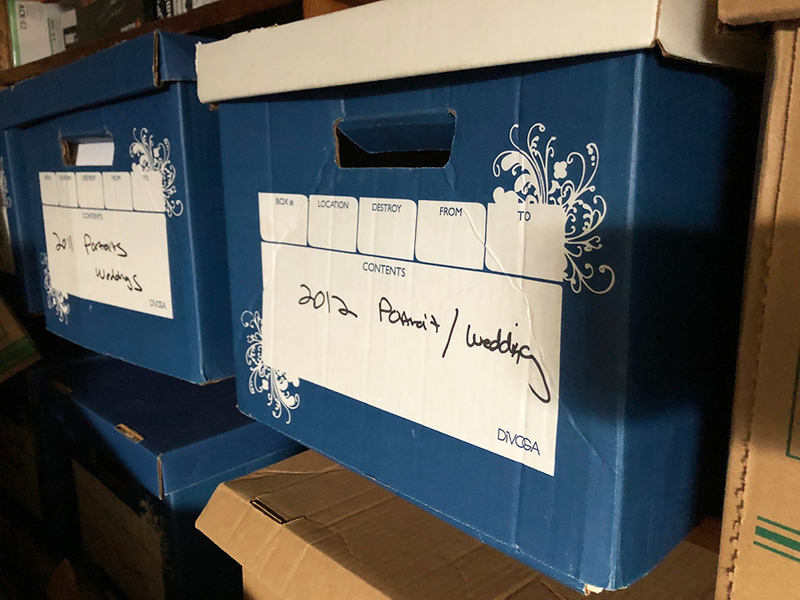 I’ve already done my 2019 spring cleaning of the storage room and most of the files prior to 2009 went bye bye but I knew right where to find the box for 2011 and had my hands on her images within minutes. Yay! I love when this happens … because sometimes it doesn’t. With all my good record keeping and systems in place a couple times I have had a request and I wasn’t able to locate the file if it was more than a year out. Because, you know – TEN YEARS OF IMAGES – but it’s rare, normally my system holds up. It’s simple, I buy bankers boxes and in January all the prior years files go into them. I grab a sharpie, label the contents (most importantly the year) and on the shelf it goes. Right off the bat viewing this maternity session made me miss my home studio. I recently converted the studio space into a sales area for my home office because 95% of my sessions are now outdoors..and I LOVE my new sales area. But I did a lot of work in my tiny little home studio back in the day that I’m pretty proud of. It just never felt big enough so now I rent an awesome space when I do a studio session. But, awww…. This is very similar to something I would create for a current client so no big leap in style here. I still love this lighting and posing! And captuing a moment like this, that will ALWAYS be my style. Here is where I can tell this was eight years ago. The enhancements I used to do were bold and contrasty. This still looks very cool but is no longer the “in thing”. And oh, how I loved my golden yellow background! So great for an unexpected pop of color. I still have it but don’t pull it out much anymore… maybe I should! I always try to bundle a newborn session onto a maternity session, I mean I HAVE to meet the baby, right? Here’s the little munchin at about six weeks old. So sweet! Sure is fun for me to go back and look at my work to see how I’ve changed and grown and what’s stayed the same. It’s also really rewarding to be able to pull images for a client from eight years ago. I’m glad I’ve been storing them all this time, it’s worth it! I will continue to do my due diligence when it comes to archiving my work but I also encourage my clients to purchase their digital media, at least a few favorites so they can archive their family photos themselves, too. Thanks for going down memory lane with me and I hope that helped answer the question, “How long do photographers keep your photos?”. 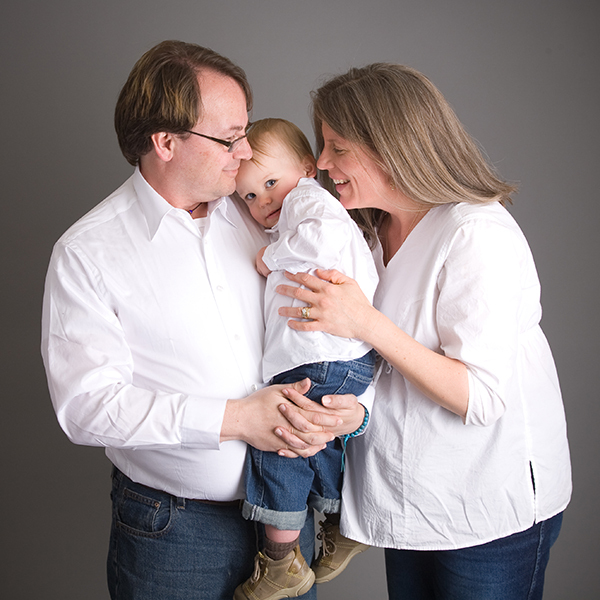 Short answer – ask your photographer, it can vary widely.